The discussion in this section concerns effects in organs or organ systems of vertebrate animals. Within that group the emphasis is, of course, on humans. As mentioned above, particular toxins will tend to target particular organs or organ systems. The liver and the kidney are common targets of toxic activity because of their role in detoxification and their large blood flow. The skin and eyes, lungs, and digestive tract are vulnerable to the more reactive toxicants, as they are the sites of first entry to the organism. The nervous system has both unique protection and vulnerability. Liver The liver receives almost all the venous blood flow prior to its return to the heart and lungs. All of the blood from the stomach and intestines go directly to the liver. Thus, substances absorbed in the GI tract may be biotransformed before reaching other organs. Although the liver detoxifies most compounds, some are converted to more toxic forms. As the generator of most of the bioactivated compounds (see Section 18.5), the liver is also the site of first and most concentrated contact. The liver is the main site of toxic damage for a number of chlorinated organics, such as carbon tetrachloride, trichloroethylene, PCBs, and lindane. Hepatic (pertaining to the liver) damage can occur in a number of ways. 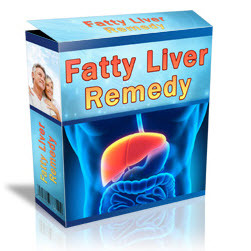 Fatty liver is an accumulation of lipid globules inside the liver cells and is caused by several mechanisms that impair the release of triglycerides to the blood. Carbon tetrachloride and ethanol are among the substances that can cause this. Necrosis is caused by carbon tetrachloride, which forms free radicals in the liver, as well as by other halogenated hydrocarbons. Cirrhosis is the formation of scar tissue in the liver. It is also caused by carbon tetrachloride, although ethanol is most commonly associated with this condition. Although there is evidence to the contrary, the effect of ethanol may be related to nutritional deficiency associated with alcoholism. Cholestasis is an inflammation of the ducts carrying bile or a decrease in bile flow by other mechanisms. There are many types of liver cancer, and many chemicals are known to cause cancer in laboratory animals. The role of chemicals in human liver cancer is less clear, except for the notable case of vinyl chloride, which is known as a potent cause of angiosarcoma. Carbon tetrachloride may act in several ways. Besides forming radicals, it can also be converted to phosgene. It also has an indirect effect. It causes a large release of the hormone epinephrine by sympathetic nerves. As with other hormones, epinephrine is quickly broken down after performing its function. This takes place in the liver, and the high levels caused by carbon tetrachloride can result in liver damage. Liver damage can be detected clinically by several functional tests, such as the rate at which it clears certain injected dyes or bilirubin, a chemical produced normally by the breakdown of heme from red blood cells. 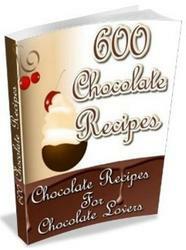 More sensitive than the liver function tests are tests for certain enzymes. Often when the excretory capability of the liver is impaired, the effects are visible as jaundice, the yellowing of the skin and the whites of the eyes caused by the accumulation of bilirubin. Kidney A toxin that affects the kidney is called a nephrotoxin.The kidney is very sensitive to toxins, both because of its high rate of perfusion (blood flow) and because it is an important site of biotransformation. This may be somewhat of a surprise because the kidney is usually thought of exclusively as an excretory organ. In fact, it has several other important metabolic and physiologic functions. The major functions are (1) removal of waste products from the blood; (2) regulation of red blood cell levels in response to oxygen levels; (3) regulation of blood pressure, volume, electrolytes, and pH; and (4) metabolism of calcium and vitamin D. Thus, kidney damage can be manifested in diverse ways. However, toxic effects on the excretion function are the most commonly observed. Elimination in the kidney occurs by three processes: (1) glomerular filtration, (2) tubular resorption, and (3) tubular secretion. Most nephrotoxins seem first to attack the proximal tubule of the nephron.The glomerulus is also susceptible, and the entire nephron may be affected if exposure is high enough. For example, mercury reduces active resorption of sodium in the proximal tubule. This reduces the passive resorption of water, increasing urine production initially. Subsequently, glomerular damage shuts down urine production completely, allowing waste products to accumulate dangerously in the blood. If recovery occurs, another period of high urine production occurs. The entire cycle may take several months. Lead affects the upper part of the proximal tubule, where glucose and amino acid resorption occurs. Thus, this damage can be observed by detecting these compounds in the urine. Although an important effect of carbon tetrachloride is severe hepatic necrosis, if it causes mortality it is usually a result of kidney failure. 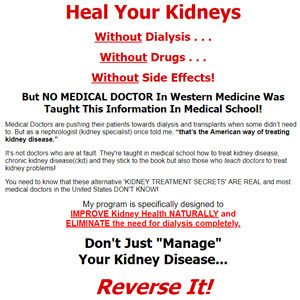 Kidney damage can also be detected by changes in blood chemistry. Blood urea nitrogen (BUN), a product of protein breakdown, and creatinine, a metabolite of creatine, are excreted by glomerular filtration. Damage to the glomerus reduces the filtration rate, causing these substances to accumulate in the blood, where they can be detected. The normal kidney allows only low-molar-mass proteins to pass into the urine; therefore, elevated high-molar-mass protein content in the urine indicates damage. The kidney uses a lot of oxygen, making it sensitive to ischemia (lack of oxygen due to reduced blood flow). The kidney is the organ most sensitive to cadmium and is also harmed by inorganic divalent mercury, lead, and other metals, as well as chlorinated hydrocarbons. Glycol metabolizes to oxalic acid, which forms salt deposits in the tubules as calcium oxalate. Rhubarb leaves have sufficiently high oxalic acid levels to cause this problem when eaten. Some chemicals, including arsine gas, benzene, lead, methyl chloride, napththalene, trinitrotoluene, and analine dyes, cause hemolysis of red blood cells. This releases pigments such as hemoglobin, which in turn are associated with acute renal (kidney) failure. Skin and Eye The stratum corneum (see Section 9.1) is the main barrier to chemical toxins. Chemicals that penetrate it tend to be absorbed systemically. The skin does not just passively transport contaminants. It is capable of metabolizing them. One of the earliest known chemical causes of cancer in humans is that of the skin caused by the topical application of oils containing polynuclear aromatic hydrocarbons (PAHs). The skin biotransforms PAHs into compounds more carcinogenic than the original. Many petroleum-based or coal-tar materials are photoactive; that is, sunlight increases their toxicity. Biotransformation of toxins may take place in the epidermis or the dermis. The skin suffers toxic effects itself, including cancer, primary irritation, allergic reactions, hair loss, pigment disturbances, ulceration, and chloracne. Dermatitis is an inflammation of the dermis. Irritant contact dermatitis and allergic dermatitis can both be caused by exposure to chemicals and produce similar symptoms, including hives, rashes, blistering, eczema, or skin thickening. The difference between them is that a true allergy takes time to develop, typically at least two weeks; whereas irritation does not require a previous exposure. For example, no one reacts to poison ivy when first exposed. Only after a second or subsequent exposure does the itchy rash develop. Common causes of ulceration include acids and burns. In addition, contact with cement and chromium-containing materials are well known to cause skin ulcers. The latter includes leathers that have been tanned with chromium compounds. Chloracne is an disease characterized by acute formation of an acnelike skin rash. It is caused by halo-genated hydrocarbons, especially polychlorinated polyaromatic hydrocarbons. Chloracne is a classic symptom of dioxin poisoning. Lungs The lungs are vulnerable to a wide variety of chemical irritants, such as ozone, chlorine, ammonia, and components of photochemical smog. Damage can be either acute or chronic, depending on the level of exposure. Acute effects include bronchial constriction and pulmonary edema (accumulation of fluid in the airways). Arsenical compounds can cause irritation, but chronic exposure can result in lung cancer. Some inhaled solvents, such as perchloroethyene and xylene, are transported to the liver and biotransformed. The resulting metabolites then return to the lungs, where they can cause cell damage and edema. Many types of particles also harm the lungs, including smoke from cigarettes or other combustion sources, or dusts from industrial operations producing particles of asbestos, silicates, coal or even cotton, flax, or hemp. In the disease called silicosis, particles of certain crystalline forms of silica are engulfed by macrophages in the lungs, which then attempt to sequester the particles in lysosomes. However, the particles rupture the lysosome membranes. This releases the lysosome enzymes into the cytoplasm and destroys the cell, as well as causing damage to the lung tissue. In addition, the particles are released to continue the cycle of damage. Ultimately, fibrosis results, making breathing more difficult. In late stages the heart is affected, leading to congestive heart failure. Asbestos particles also cause fibrosis in the lungs, which can lead to lung cancer. Many other particles cause fibrosis, including coal dust, kaolin, talc, and a number of metal or metal oxide particles. Another result of chronic damage is emphysema, in which the walls separating one alveolus from another are destroyed. The mucociliary escalator is responsible for removing many of the particles trapped in the bronchial tubes, including infectious microorganisms. 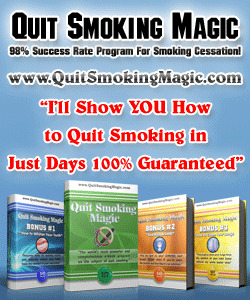 However, some toxic substances, notably tobacco smoke, paralyze it for 20 to 40 minutes. Mucus stagnates, but the irritation actually increases mucus secretion. These effects can partially or totally block smaller bronchi and exposes the habitual smoker to the possible indirect effects of lower respiratory tract infections and chronic bronchitis (inflammation of the bronchi). The inhaled irritants described above can have a similar effect. Occupational exposure to a variety of substances is known to be capable of causing asthma. This is an allergic reaction in which exposure causes histamine to be released. Histamine stimulates the bronchi to contract, greatly increasing breathing resistance. This is known to affect bakers exposed to flour and workers exposed to wood dust, as well as butchers exposed to fumes caused by heat-sealing PVC films for wrapping meat. Some people become sensitized to toluene diisocyanate, which is used in polyurethane products. Subsequent exposures to very small amounts can cause a severe asthma attack. Other exposures cause a different allergic reaction, deeper in the lungs at the bronch-iolar level leading into the alveoli. The symptoms, which include coughing, sputum production, fever, and fatigue, resemble pneumonia. A fraction of the people affected slowly develop shortness of breath without fever. Both of these often result in misdiag-nosis. This condition has been found in farmers exposed to thermophilic actinomycete spores (farmer's lung), workers exposed to bird droppings, laboratory technicians who become sensitive to the urine of experimental rats, and strangely, archeologists who remove wrappings from Egyptian mummies. Tests on the lungs can be used to detect damage to exposed persons or to form a baseline for workers who are at risk of exposure. The chest x-ray is one such test. A fairly simple, noninvasive test is the spirogram, in which the subject breathes through a device that measures volume and flow (see Figure 9.11). Measurements include the forced vital capacity (FVC), which is the maximum volume the person can exhale, and the flow rate over certain periods of the exhalation. Respiratory frequency, commonly called breathing rate, is sensitive to certain irritants and correlated to their concentration. Ozone and NO2 increase the frequency, whereas SO2 and formaldehyde decrease it. Immune System The immune system consists of various organs, including the bone marrow, spleen, thymus, and lymph nodes, plus specialized cells and plasma proteins produced by those organs which circulate in the blood and lymphatic system. The cells are the lymphocytes, or white blood cells, and include T cells and B cells. The proteins include the immunoglobulins, interleukins, and the complement system. Together they act to rid the body of chemical and biological contaminants. There are three types of immune system derangements. Immunosuppressants reduce immune response and render the body more vulnerable to foreign substances. Immunostimulants cause hypersensitivity reactions or allergies. Autoimmune disease is the condition where the immune system attacks its own substances as if they were foreign. • Heavy metals: lead, cadmium, chromium, methyl mercury, sodium arsenite and arsenate, arsenic trioxide. • Pesticides: DDT, dieldrin, carbaryl, carbofuran, methylparathion, maneb, chlordane, hexachlorobenzene. • Halogenated hydrocarbons: PCB, polybrominated biphenyls, TCDD, TCE, chloroform, pentachlorophenol. Immunostimulants usually cause their reaction within 15 minutes of exposure. A first exposure does not cause a reaction since the immune system must generate immunoglo-bulin antibodies. Second and later exposures cause the release of histamine, heparin, serotonin, prostaglandins, and other compounds. These result in symptoms such as asthma and rhinitis. Examples of immunostimulant toxins include nickel, beryllium, and the pesticide pyrethrum. A delayed hypersensitivity reaction may also appear between 12 and 48 hours after exposure to substances such as nickel, chromium, and formaldehyde. Symptoms include contact dermatitis. Autoimmune diseases are reportedly caused by agents such as dieldrin, gold, and mercury. Nervous System The nervous system is exceedingly sensitive, partly because its role is so critical in higher animals. It also is relatively vulnerable to ischemia because it has a high metabolic rate and a low capacity for anaerobic metabolism. Thus, it is the first site of action for carbon monoxide. The central nervous system also has special protection in the blood-brain barrier (see Section 18.4). Peripheral nerves have a similar, although less effective barrier. Source: Williams and Burson (1985). Physical damage may target either the long axons by which neurons transmit signals over distance, or the cells of peripheral nerves or the brain (Table 17.4). Lead, especially organic lead such as tetraethyllead, mercury, organic arsenicals, chronic alcoholism, and hexachlorophene intoxication, are all associated with edema (extracellular fluid) in the brain. A toxin that affects neural transmission is Saxitoxin (from dinoflagelates), which prevents sodium from entering the neuron as the signal passes. Pyrethrins (natural and synthetic insecticides) and DDT increase sodium permeability, causing repeated firing of the neuron, resulting in convulsant activity. Some compounds, such as lead, triethyltin, cyanate, hexachlorophene, chronic carbon monoxide, and isoniazid, decrease the myelin insulation on axons. If the brain is affected, symptoms include mental dullness, restlessness, muscle tremor, convulsions, memory loss, and epilepsy. Source: Simpson and Ogorzaly (1995); original Consumer Report, 1981, Vol. 46, pp. 598-599.
membrane. Caffeine mimics adrenaline in its action, stimulating the heart, increasing stomach acidity and urine output, and increasing the metabolic rate by 10%. Depressants act by decreasing the excitability of neurons. Ethanol is known to depress neural excitability by decreasing sodium and potassium conductance. However, the most important from an environmental point of view are the agents that cause narcosis, or central nervous system depression. This is one of the most common toxic effects and is caused by solvent partitioning of lipophilic solvents to plasma membranes. The mechanism is not well understood but may be related to a decrease in ion fluxes through the membrane. The symptoms include disorientation, giddiness, and euphoria; at higher levels the symptoms progress to paralysis, unconsciousness, and death. This property of solvents accounts for their use as anaesthetics. Ethyl ether was one of the earliest applied this way. Chloroform came into common use because its vapors are not explosive. However, its use for this purpose has been discontinued because of other toxic effects, including its carcinogenicity. The potency of these solvents as an anaesthetic, along with their toxic effects, is well correlated with their polarity as measured by the octanol-water partition coefficient, KOW. Octanol is a surrogate for biological lipids, so KOW also measures the tendency of a substance to partition into the plasma membrane. Synaptic transmission can be affected by a toxin binding with receptors (e.g., the toxin produced by Clostridium tetani in tetanus), by blocking neurotransmitter release (botuli-num toxin produced by Clostridium botulinum) or by inhibiting cholinesterases (organo-phosphate or carbamate pesticides; Section 17.1).